As a property manager overseeing the day-to-day operations of residential homes, you’ll occasionally have to work with window and door retailers. You can expect that everything will be fine most of the time, but there will be cases where serious issues arise. 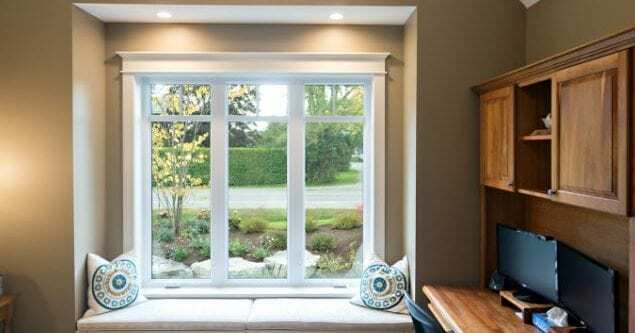 When there is a problem during a Barrie, ON replacement windows project and you need to resolve the issue with the replacement window and door company, here’s how to do it. If you believe that the replacement window and door company has failed to live up to its end of the bargain, phone in or visit to speak to someone who can resolve the matter. It’s best if you can speak to the person you had made the initial arrangements with. But if this is not possible, speak to someone as high up in the chain of command as possible. Hopefully, you clearly documented everything from the beginning. You should have documents outlining the promised deliverables, written documents containing any communications you’ve had with the company, and more. What this will do is help you to prove your case if there’s disagreement about who promised what or who said what. Armed with documentation that supports your argument, you will want to inform the company about the problem and ask that it be dealt with asap. It can be easy to get frustrated when you feel that you’ve been wronged and that the problem is not being addressed quickly enough. But things will go much better if you stick to the issues. Present your documents if needed. That will help to clear up the matter if there’s disagreement as to the chain of events that led up to the problem that you’re facing as a property manager. Most replacement window and door companies you deal with want to keep their customers, whether property managers or consumers, happy and will bend over backward to do so. You should have no problems getting the matter rectified if you can demonstrate that the company hasn’t lived up to its obligations – and this is why it’s crucial that you document everything. Most of the time, these steps will lead to a satisfactory resolution to the matter so that your projects can proceed. But if nothing seems to be working, you may have to pursue other options. Brock Doors and Windows Ltd. is dedicated to providing the best in products and services, and we have a great reputation among property managers who see us as a reputable and dependable partner to work with. It’s a reputation we’ve built, one partnership at a time, over the years. If there is ever a problem in your dealings with us, you can rest assured that we will work with you to facilitate a timely resolution. For your next Barrie, ON window replacement project, come to our Innisfil location. We’re at 2347 Industrial Park Rd Innisfil, ON L9S 3V9. You can also get in touch with us via phone at (705) 431-7087.